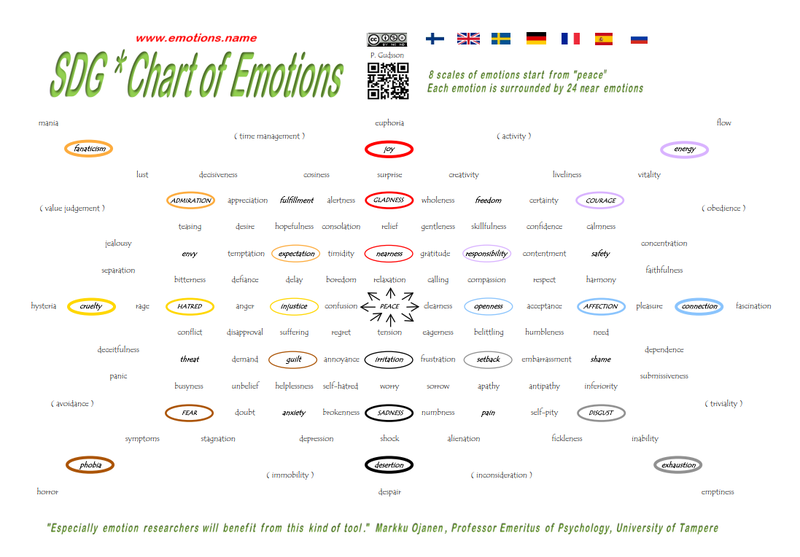 On the chart you can see 8 emotion scales, which show the progression of emotional states. The opposite emotions can be found on the other side of the central point. The emotion scales and breathing rhythms seem to be connected (1). You can watch a SlideShare presentation on their relationship. It reveals names for those scales too. The positive emotions are situated mainly in the upper right corner. The exhale is longer than the inhale when those emotions dominate your mind. This has been just a hypothesis for a long time, but a new scientific study (2) supports this idea. 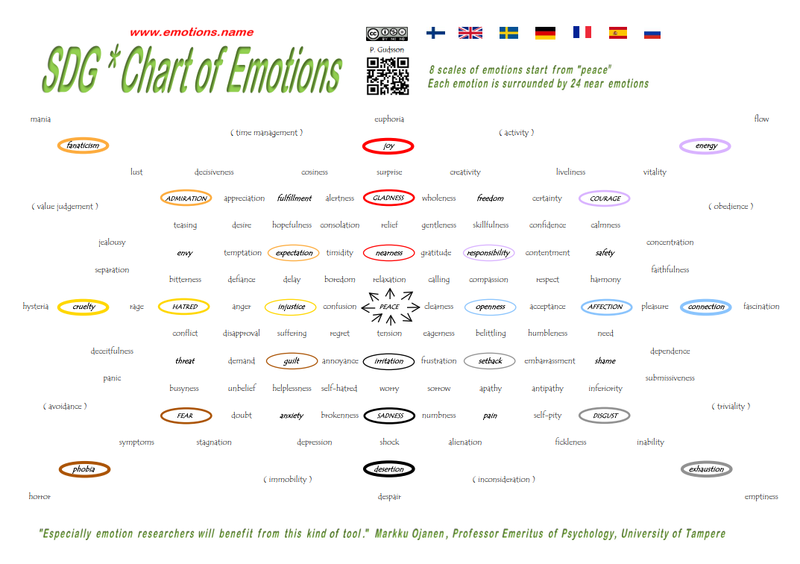 You can find near emotions around every emotion on the larger SDG*Chart of Emotions. For example let´s consider the emotion “dependence”. It´s surrounded by inferiority, shame, need, affection, pleasure, connection, fascination and adaptability. Most of these emotions are familiar to a person who suffers from addiction. 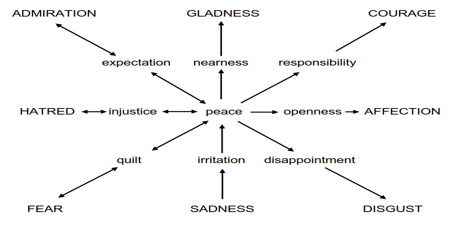 *First examine emotions situated on the emotion scales. *Then you can scan all the vertical columns from down to up. 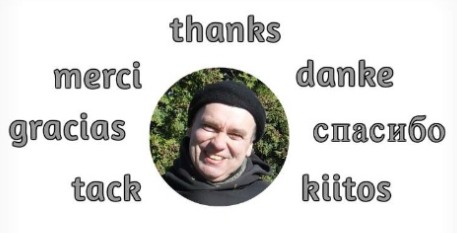 The SDG*Chart of Emotions is available in 7 languages. 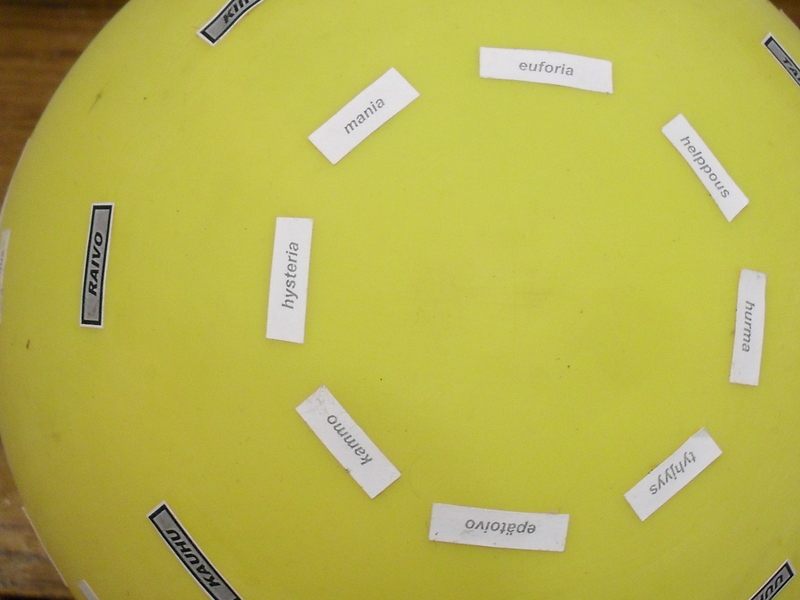 Some extreme emotions of this ball-shaped emotion map can be seen gathered together at the centerpiece of the Plutchik´s Wheel of Emotions. SDG stands for Soli Deo Gloria which means Glory to God only. 1) Respiratory feedback in the generation of emotion. Posted on 1.3.2018 by P. Gudsson	• Bookmark the permalink.